WOW ! ! 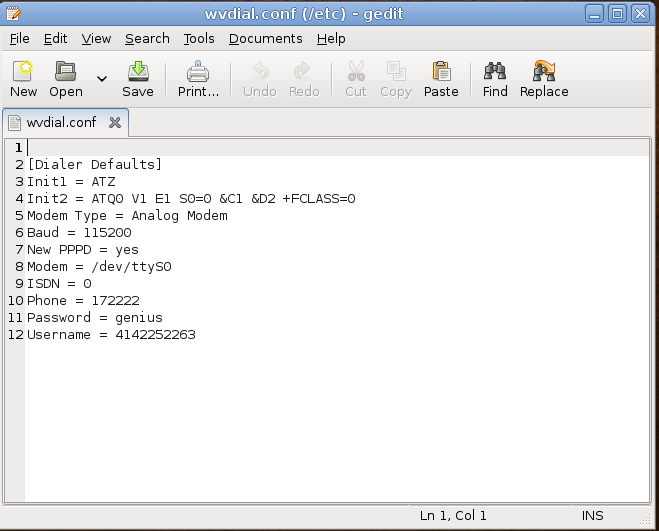 Dial up is working in linux FOR me ! Well this might not be news for many , but yeah its a big one for me ! Without this i had been disconnected for more than one semester hols . What did i do for making the dial-up work ?? my user name and password for the dial up connection ! sweet isn’t it ?? change the username, password and dial up number in that file of my ISP . it throws a lot of garbage and then finally obtains few DNS & IP addresses! Now after this , i also installed a gnome application called PPP dialer , which is a GUI for wvdial. Dai! Stop your brutal misspelling of the name of the distro! Its Gutsy Gibbon! i know the irritativity of dial-up in linux .. when i first installed linux ( in my 11th i think ) i had only dial-up at home and then i had no idea of anything .. then i gave up .. lol .. broadband adsl is quite easy to connect esp via ethernet cable .. if you know to configure adsl modems connected via usb cable plz post a how-to on that .. There was such a hue and cry when dial-up was virtually disabled in Edgy and Feisty that someone musta had a look at it re. Gutsy. This makes a world of difference because my Mum’s been stuck with Dapper and I couldn’t get her into something better. Shall give it a try ….external serial modem of course. Thank you for your useful blog. 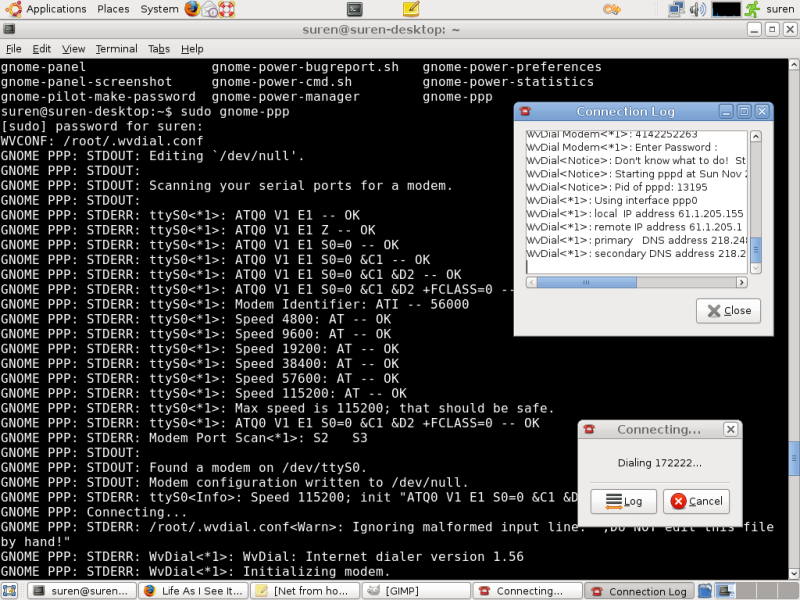 I am in the middle of setting up a new laptop with Linux Ubuntu 7.01. 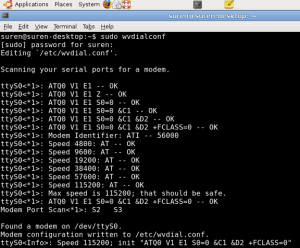 I have Tiscali which use an ISDN Sagem modem. The only problem I have had is getting on the internet. I am shifting off Microsoft, at last we have a decent alternative.